Tezz is an upcoming bollywood movie directed by Priyadarshan under banner of SRK Entertainment and Movies Pvt. Ltd. 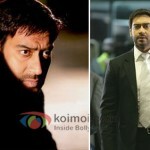 It is action thriller film and also one of the most expensive bollywood movies. Lots of parkour techniques of special effects have been used. The shooting of this film has been completed. It is in post production stage at current. The film was earlier set to be released in November 2011 but it may be postponed enough to January 2012. Well, we hope it is not postponed as it is hard resisting the action, speed and thrill, this movie is going to deliver. Tezz movie is about hijacking of train in want of ransom. The train is compromised. The entire security and investigation team are after saving the lives of people trapped. The story is quite interesting. This movie features much more speed and craze. Nobody is assured of the consequences awaiting on the move! Tezz item number is being done by Priyan’s fav Sameera Reddy. The sizzling actress has delivered awesome performance in the item song which is set to rock n roll when it would be released. Although, while shooting for the tezz in London, the team faced delays in getting work permits and other hurdles, yet Priyadarshan managed it somehow. Now the film is in post production stage with little patch work left but due to scheduled release of many big films like Ra.one, the dirty picture, rockstar, don 2, etc, the film may be postponed to released into theaters next year i.e. in 2012. Some people claims Tezz to be speed remake while the cast and crew members stongly deny the same claiming that a little resemblance doesn’t make a film remake.